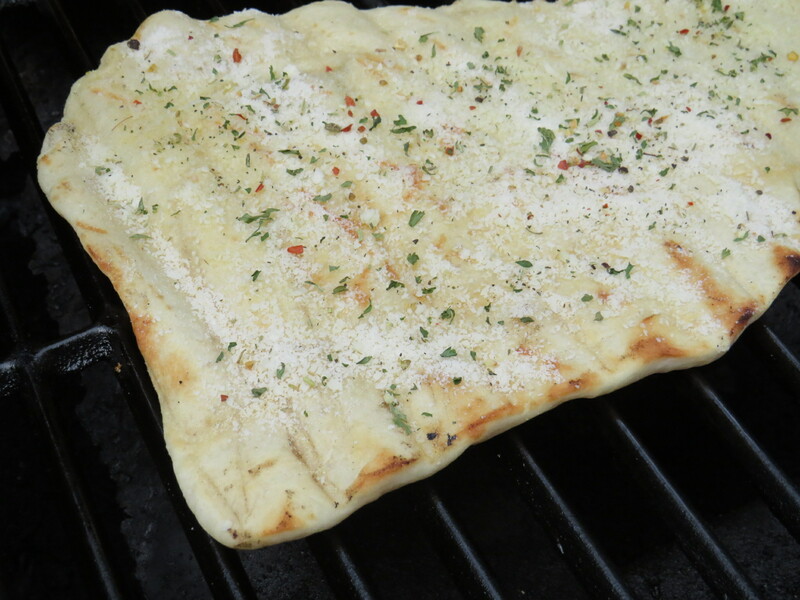 I’ve written about grilled pizza before, and for good reason: I LOVE it! 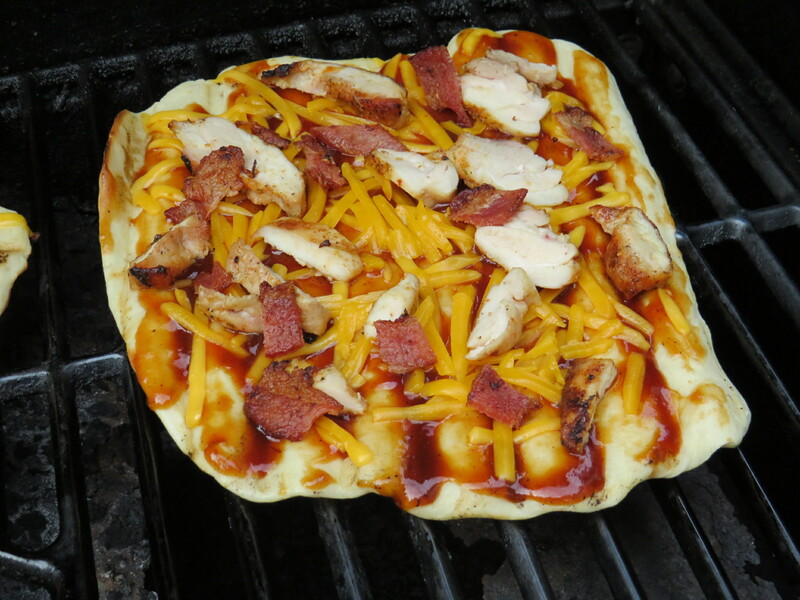 For several days I have been craving this bbq chicken pizza. 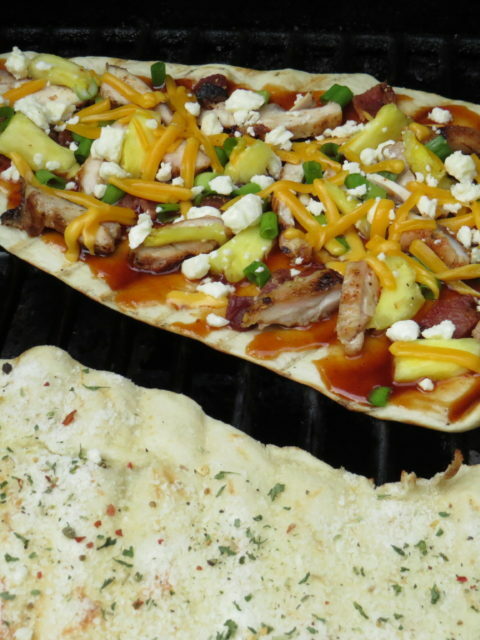 Typically, I would suggest preparing it with leftover bbq chicken, but I am actually grilling the chicken now, while my dough preps (I use my bread machine and it takes about an hour), so it will be ready to use on the pizzas later. 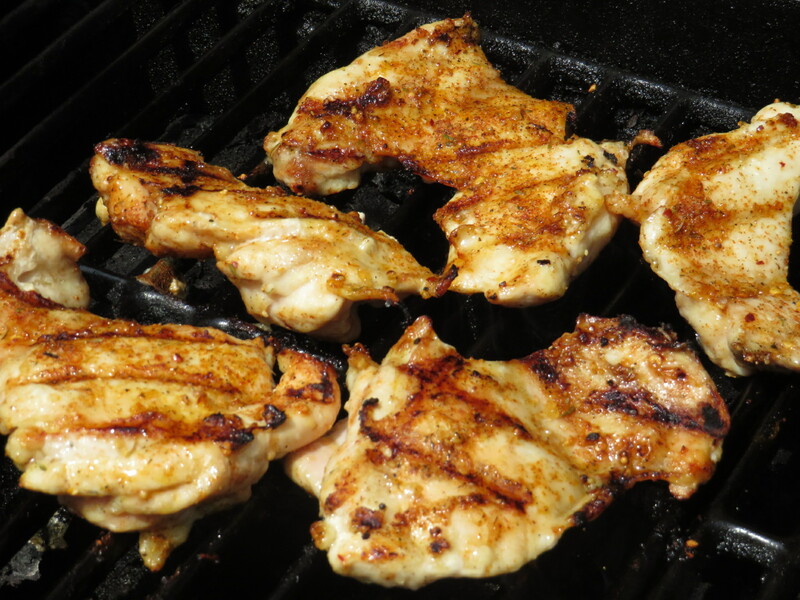 I prefer to use chicken thighs because, well, they are just a juicier, tastier piece of meat. You can substitute chicken breasts if you prefer. And, really, you could use any leftover chicken or even a pre-cooked rotisserie chicken to make the meal quicker and easier. Of course, you could use refrigerated pizza crust too, but then you are really missing out on the most fun part of homemade pizza. Kids love to do the kneading and rolling! 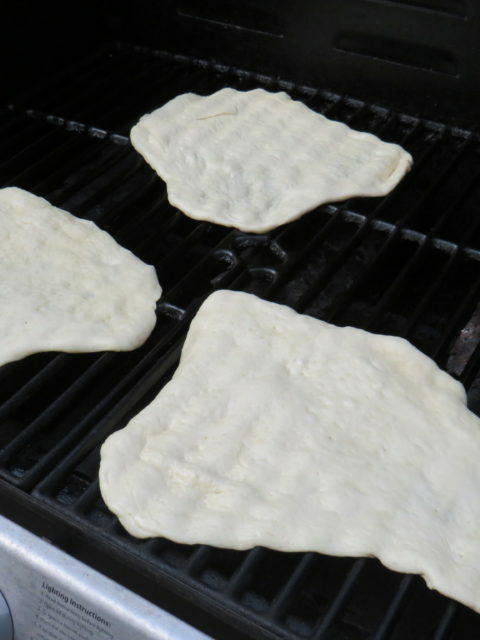 A quick and easy pizza dough recipe that can be mixed by hand or made in a bread machine. Place ingredients in the bread machine in the order listed (typically wet, dry, yeast) and set on dough setting. Once done, put on a lightly floured surface and kneed a couple of times. Pull apart into individual pizza size portions and roll into balls. Cover with plastic wrap and refrigerate until use. To make the chicken, I use boneless skinless chicken thighs. Other than being super tasty, they are a very inexpensive part of the chicken. Though you may be able to get them even cheaper by buying the bone-in, thighs are not the easiest to de-bone. That’s a job a leave to the meat cutter! I remove the extra fat from the pieces and then season them with my favorite bbq rub, Changing Seasonings Applewood Smoked BBQ Rub, and grill until the juices run clear. 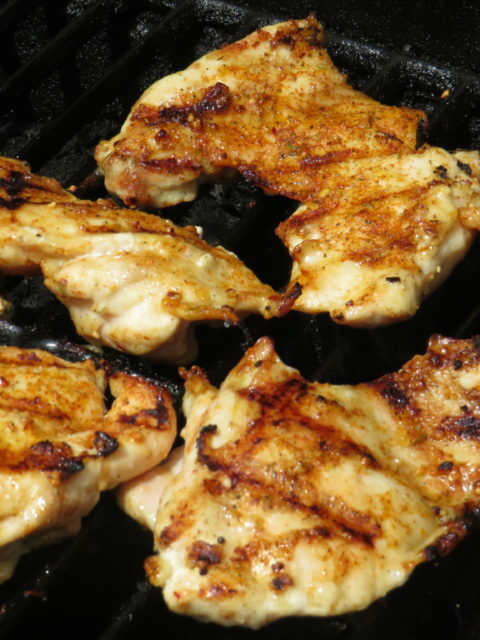 Preheat the grill and set temperature at medium-low heat. 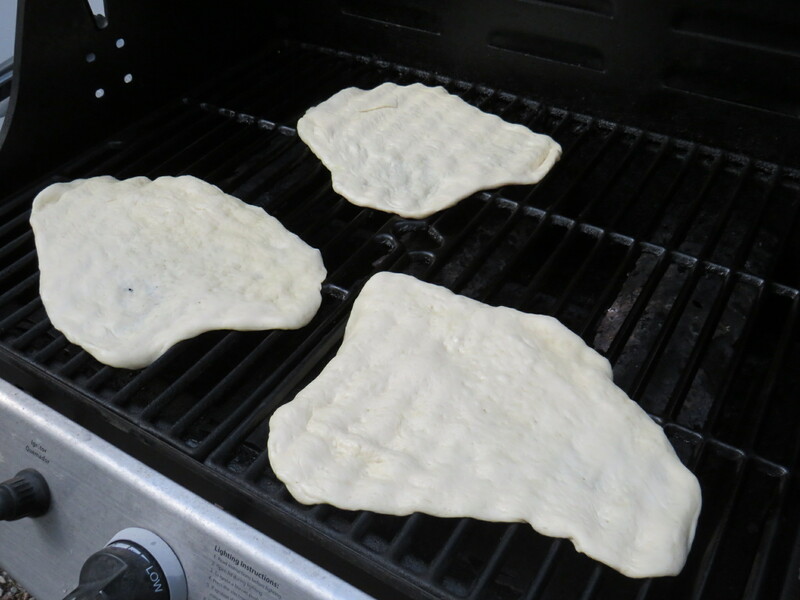 Be sure the grill rack is clean so you don’t end up with remnants of your last grilled meal in your pizza crust…yuck! Brush oil on the rack. Olive oil is definitely your friend in this process. Other than brushing it on the rack, put it on your hands and rub a little extra on each crust before cooking to keep them from sticking. 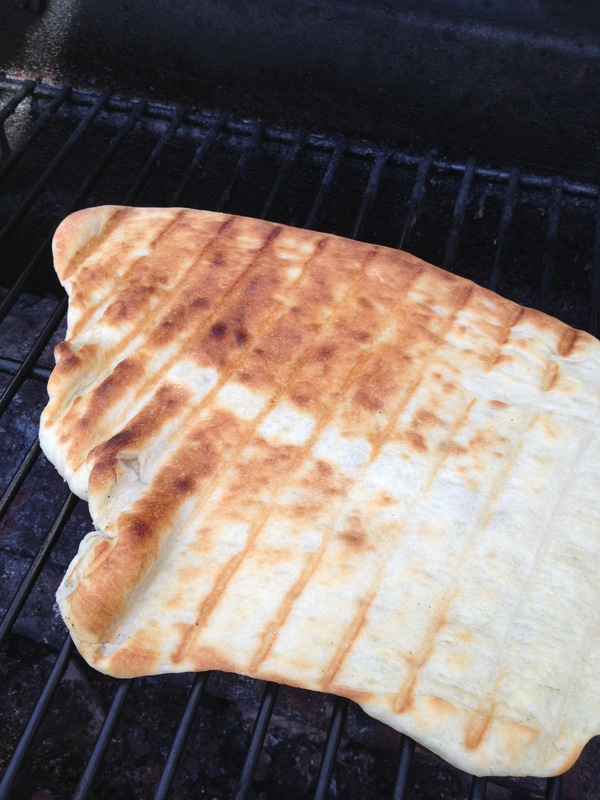 Unless you are very familiar with your grill’s temperature settings and the location of any “hot spots,” start with one [test] crust…just in case! My dough took about 3-4 minutes each side. Now, comes the part where you have to act fast. Once you have flipped the crust over, quickly put on the desired toppings and get the lid closed so they can warm and the cheese can melt. 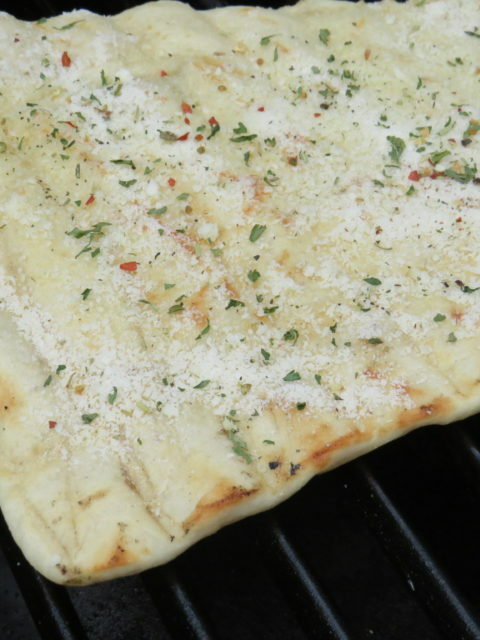 If you are going to let others put their toppings on, you will need to remove the crust to the baking sheet while they top it and then put it back on the grill. Cook for the remaining 3-4 minutes until the cheese melts and the bottom is a golden brown (or darker if you prefer, I like my edges a little crisp and dark.). I had extra crust, so I made some garlic cheese bread by brushing the crust with olive oil and topping it with garlic powder , Changing Seasonings Bread Dippin’ Blend and grated parmesan cheese. My favorite combination this time, teriyaki bbq sauce, chicken, bacon, green onion, pineapple, cheddar and feta chesses. I wish I would have had smoked gouda on hand. It is one of my favorite cheeses and the smokiness would have complimented the grilled chicken wonderfully. 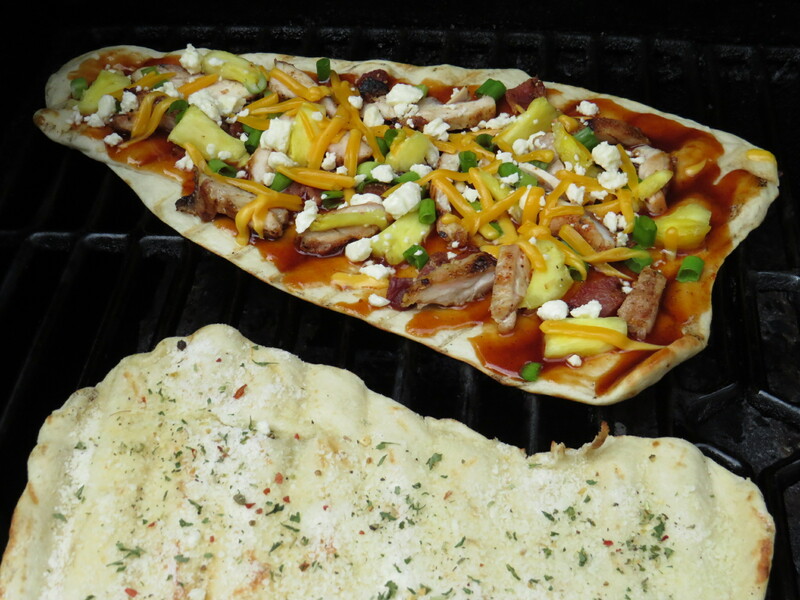 Making individual grilled pizzas can be a lot of fun for a family or small group of people. These can be baked if say, your grill runs out of gas or the weather turns poor (both situations I can attest to from experience! ).